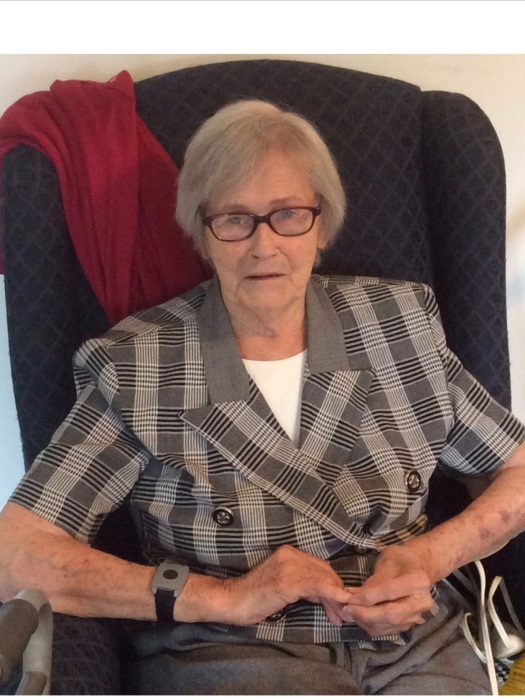 Deane Elizabeth (Vincent) Mullins age 88 of Byrdstown, TN passed away Friday, November 16, 2018 at Pickett County Care and Rehab. She was born September 6, 1930 in Albany, KY to J.O. Vincent and Emma (Aaron) Vincent. She was a member of the Red Hill Church of Christ, a factory worker and health care provider. Deane is survived by (1) Daughter: Joan Guffey and Husband: Danny ; (2) Sister-In-Laws: Ruby Taylor and Chrystell Griffin ; (1) Brother-In-Law: J.E. Morrison ; (2) Grandchildren: Jamie and Kristie Guffey, Danielle and Erik Huber ; (4) Great-Grandchildren: Kylie and Landon Huber, Addy and Ayla Guffey ; Special Niece: Linda Stephenson Sims ; Special Nephews: Lynn Garrett, Jr. Stephenson and David Morrison. Also survived by other family members and friends. She was preceded in death by her Parents: J.O. and Emma Vincent ; Husband: Earl Mullins ; (1) Son: Earl Wayne Mullins ; (2) Sisters: Ann Morrison and Eva Cross ; (4) Brothers: William "Bill", Ethridge, Aubrey and Hubert Kay Vincent. Funeral services will be held Sunday, November 18, 2018 at 2:00 PM from Brown Funeral Chapel with Bro. Henry Colbert officiating and burial in the Story Cemetery. * Memorial contributions in memory of Deane Mullins may be made to the Story Cemetery Fund and can be left at Brown Funeral Chapel.